Q. With All the bestsellers you have had, you must be rich, right? A. I only wish. 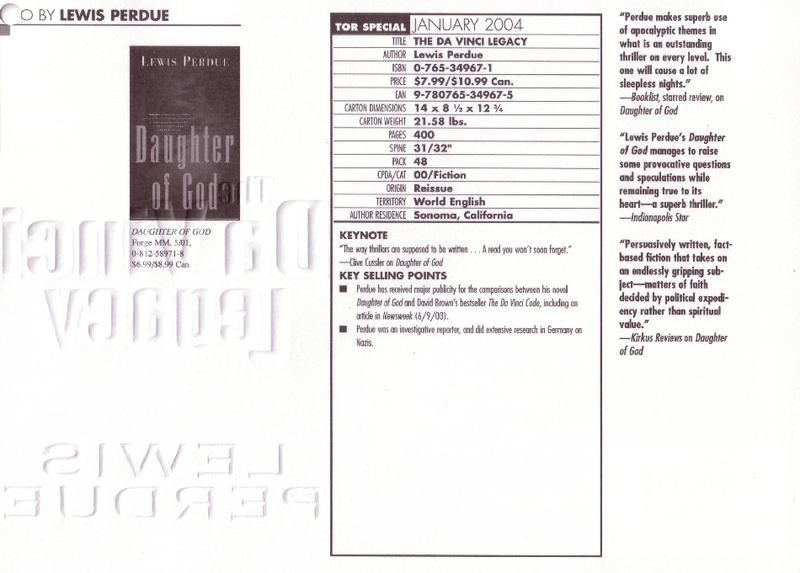 The problem is that my publisher went bankrupt before I saw most of the money. "A very well-written, fast-paced novel of cloak and dagger operations that takes part entirely in Italy with all the local color it deserves." Read about it in Variety. "This is the most blatant example of in-your-face plagiarism I've ever seen. There are literally hundreds of parallels." quoted in the New York Post. 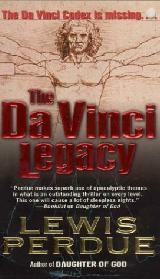 If your local bookseller has sold out of The Da Vinci Legacy and Daughter of God, please check out Slatewiper,. 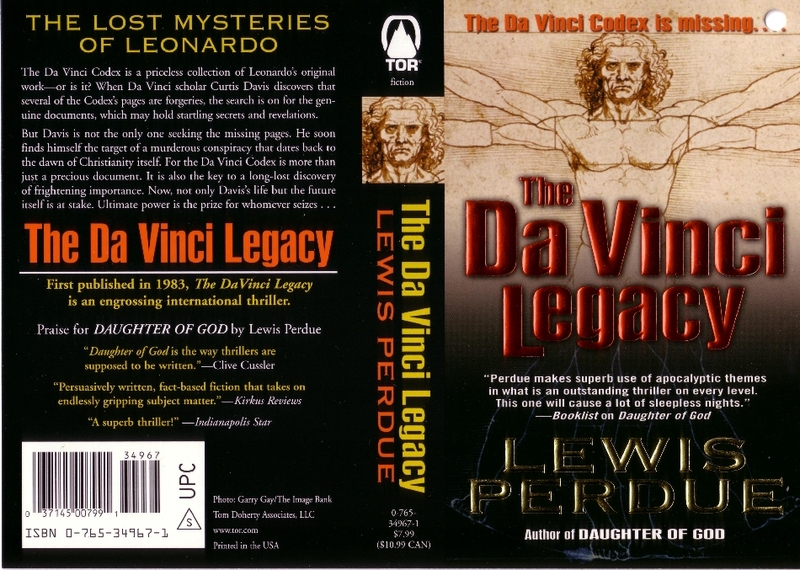 Find out more details about the 2004 reissue of The Da Vinci Legacy. Click here to Check out the NEW 2004 COVER!